Overall dimensions 20 1/8" by 20 1/8" by 1 5/8" thick, checkerboard 18 1/4" by 18 1/4". 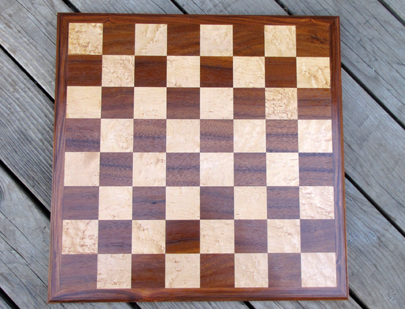 Dark squares: Hawaiian koa. 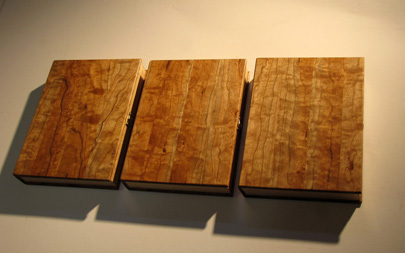 Light squares: birdseye maple. Border: mordillo. 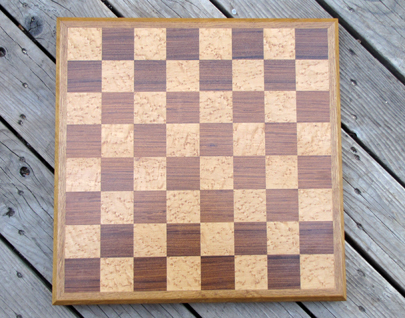 Overall dimensions 20 1/8" by 20 1/8" by 1 5/8" thick, checkerboard 18 1/4" by 18 1/4". Dark squares: mordillo. Light squares: birdseye maple. Border: white oak. 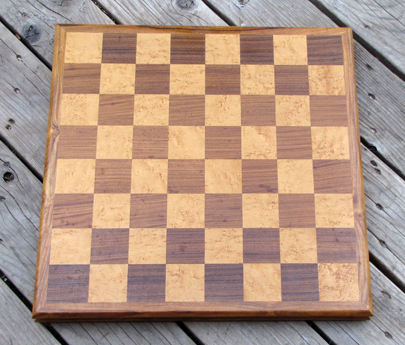 Overall dimensions 19 15/16" by 19 15/16" by 1 5/8" thick, checkerboard 18 1/4" by 18 1/4". Dark squares: mordillo. Light squares: birdseye maple. Border: canary wood. This custom made Cocobolo slipcase book box is sized to contain the original Knopf Border Trilogy By Cormac McCarthy, the Hunger Games Trilogy by Suzanne Collins. 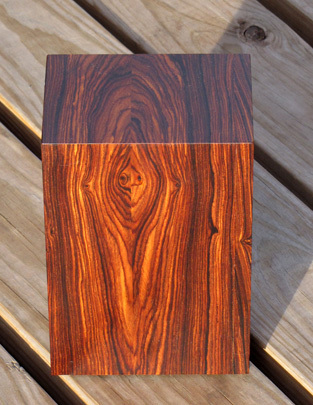 We have boxes of this exact internal dimension made of cocobolo (shown), tiger maple, hard maple and black walnut. Prices listed below. Available with or without the desired trilogy in First Edition, First Printing, collectable condition. Please inquire if you wish the books included with the box as prices vary considerable by book condition and valuation. 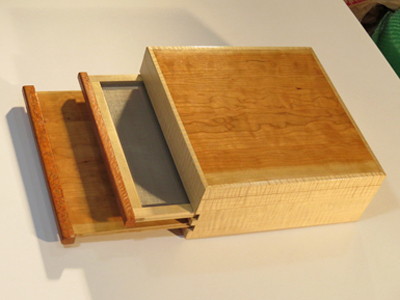 These three boxes are custom made to fit the three individual volumes of The Border Trilogy by Cormac McCarthy. They are made of highly figured American cherry in the shape of a book, with a cherry spine and boards, yellow cypress pages, a mortised piano hinge and two brass latches. The finish is hand-rubbed Danish oil under wax. Please inquire if you wish the books included with the box as prices vary considerable by book condition and valuation. 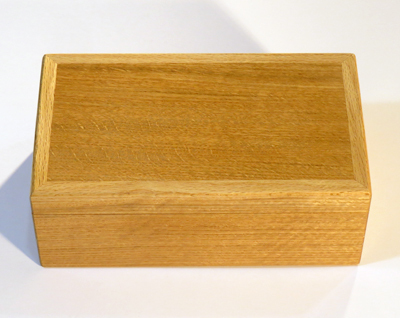 To complete your collection, these sturdy boxes of 5/8" white oak feature mitered corners, a precisely fitted slip-on lid with clear satin lacquer finish inside and out. They measure 4.25" high by 6.5" wide by 11.25" long on the outside. Inside dimensions are 3.125" high by 5.375" wide by 10.125" long.